The UK National Construction Expo is being held at the Arena MK, Milton Keynes in England on Wednesday, 1st May 2019. Although British construction activity overall has slowed, chiefly due to businesses continuing to postpone major building projects due to Brexit uncertainty, which is impacting the commercial construction and civil engineering sectors, house building remains buoyant. Of course, the residential construction sector is benefiting from the significant supply and demand imbalance, and with mortgage rates remaining relatively low and the Help-to-Buy scheme set to operate at least until 2023, the outlook for house building is bright. Furthermore, most analysts remain optimistic that UK construction industry activity and output is likely to recover rapidly once the Brexit cloud is lifted. 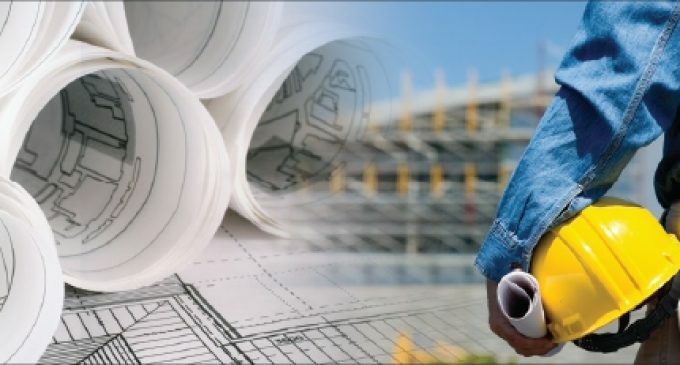 What is for certain, however, is that the construction industry throughout the UK needs to adopt innovative technologies and techniques in order to design and construct the sustainable buildings and infrastructure required by a growing population and to help businesses adapt to the challenges of the unfolding fourth industrial revolution (Industry 4.0). The National Construction Expo 2019 in conjunction with its complementary, co-located events will attempt to present solutions to these challenges, by providing a forum for key stakeholders across the industry to gather to discuss pressing issues, enhance knowledge and to serve as a networking opportunity for those involved in the finance, design, construction and management of the UK’s buildings, infrastructure and industrial projects. * The National Sustainability Expo. Key Conference themes include: Brexit; jobs, skills, training and education; infrastructural investment; public & private housing; procurement; finance; building materials & services innovation; Foreign Direct Investment (FDI); Sustainability; and off site construction. For example, Tim Colman, Cabinet Office Lead and National Procurement Spokesman at the Federation of Small Businesses will examine the many proven benefits for public sector procurers to source from SMEs as well as the obstacles that prevent SMEs from bidding for public sector tenders – whether directly or as sub-contractors. His presentation titled ‘How the Public Sector Should Work with SMEs’ will look at both aspects and suggest solutions. Ian Bamford, Commercial Director of University of Cambridge – Centre for Industrial Sustainability, will assess the difficulty many businesses and projects encounter in identifying and delivering sustainability benefits to customers. His presentation – ‘Creating Sustainable Value’ – will explain how research at Cambridge University has created tools, which business can use to map their current value provision and innovation, to create sustainable added value. It will illustrate the tools with examples from the over 200 successful deployments. Research by Heriot-Watt University suggests that the UK has a backlog of 3.9 million homes which means the country needs to build 340,000 new homes each year until 2031. Currently the traditional industry model is only managing 170,000 homes every year. David Johnson, Managing Director of Off Site Construction Advice Ltd, will examine how Off Site Construction can address the supply side problems; shortage of skilled labour; shortage of materials; low productivity; and provide the solution by building more housing more quickly and more efficiently. On a similar theme, ‘Offsite Construction – One Size Does Not Fit All!’ is the title of a presentation by Jason Pritchard, Director of Excel Structures Ltd.
On the topic of training and education, Geoffrey Makstutis, Subject Lead for Construction, Higher Education Qualifications at Pearson UK, will point out in his presentation –‘Construction for the Next Generation’ – that in 2011, construction ranked number 7 as a job destination among 22-29 year olds but this had fallen to number 12 by 2017. Too often the construction industry is equated with hardhats, hi-viz tabards and muddy boots. In order to recruit a new generation into construction, we must recognise the challenges we face and promote an updated view of the industry, he maintains. Gerald Kelly, General Manager at the Confederation of Construction Specialists, will talk about how contractual training should be a must for contractors but, unfortunately, it is mainly overlooked. Lack of knowledge about contracts can have dire consequences. However, lack of knowledge is easily rectified by attending contractual training courses. Looking to the future, Michael Krajewski, Founder of Steelo Ltd, will suggest that structural steel will be printed on site. He will outline the innovations Steelo is working on in order to revolutionise the steel industry. This includes 3D printing of steel (together with Cranfield University and Foster & Partners), robotic welding, artificial intelligence for quoting projects, an on-line steel ordering platform, etc. This visionary presentation will seek to prove that having steel structures made by robots is not far away. Francis Ugboma, Head of Energy Services at Islington Council, will explain how the Bunhill Phase 2 Project, which will use waste heat from the London Underground transport system and distribute it to local homes and businesses, is the first of its kind in the world. Once the scheme is operational, over 1,000 homes will be connected to the heat network. The endeavour will boost Islington Council’s efforts to tackle fuel poverty in the borough by providing cheaper and greener energy. Newly-connected homes and businesses will help reduce CO2 emissions by around 500 tonnes each year, a significant contribution to the Mayor of London’s target of achieving a zero carbon London by the year 2050.